Which drone is best for your photography needs? Dronesare not a common need, but one must admit, these not-so-little-flying-devices are pretty fascinating – it is like a cheap ticket to get in the sky. If you find yourself needing one – just for the fun of it or work purposes – here are some factors and features to consider. There are different types of drones to suit one’s needs and budget. Per the number of propellers seen on drones, you have tricopter (three propellers), quadcopter (four propellers), even Hexacopter (six propellers) and Octocopter (eight propellers.) Most drones are quadcopter and depending on the sizes of the drones it could be further classified into, nana drones, mini drones, regular size drones and large drones. Next, you can classify drones per the range they could fly; very close range drones, close range drones, short range drones, mid-range drones and endurance drones that could fly a long range. 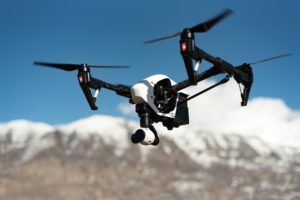 Except for a few drones, most drones come with equipment fused with it – drones with camera, drones with stabilizers, drones with or without GPS and first-person-view (FPV) glass and obviously, all features could be combined into one. Today we’ll talk about drones for photography purposes. For drones, you really get what you pay for, and if you are looking for an aerial video or photo platform with some serious stabilization that can capture stunning footages, be prepared to let your wallets bleed a little (or a lot). For starters who want to try out aerial photography or videography, but are not willing to shell out $500 to a thousand dollars on a flying tool, go for this “toy drone” that comes with a camera. Fitted with a 720p HD camera, the Syma X5C Explorers may not give you the images of your dreams, but it’s definitely good enough for practice shots. Best of all? It can take a whole lot of crashing. Durability is what you will need as a drone newbie. Willing to fork out abit more after some practice? The DJI Phantom 3 Standard is your best bet. DJI is one of the leaders in the drone industry and for this model, you’ll get more than just basics for an entry-level drone. Its wide-angle f2.8 lens, 2.7K HD video recording resolution and great stability (with its integrated three-axis gimbal) will get you smooth, stunning shots. However, do note that its non-collapsible body and landing gear means it isn’t the best for traveling though. First things first – the DJI Phantom 4 is pricey. But it’s also one of the all-around best drone in the market right now. Not much fixing and configuration is required with this – just take it out of the box and its ready to soar the skies. With videos at 4K at 30fps and full HD 1080p at 120fps for slow motion, its undoubtedly gives you smooth, crisps footage. The best part though, is its obstacle avoidance that avoids any head-on collisions!